Consistency "from the cradle to the grave"
There's a fun and easy way to demonstrate the importance of having all ITER parts properly tagged and identified in storage—organize a workshop and ask four competing teams to build a pipe assembly with items retrieved from a makeshift warehouse. 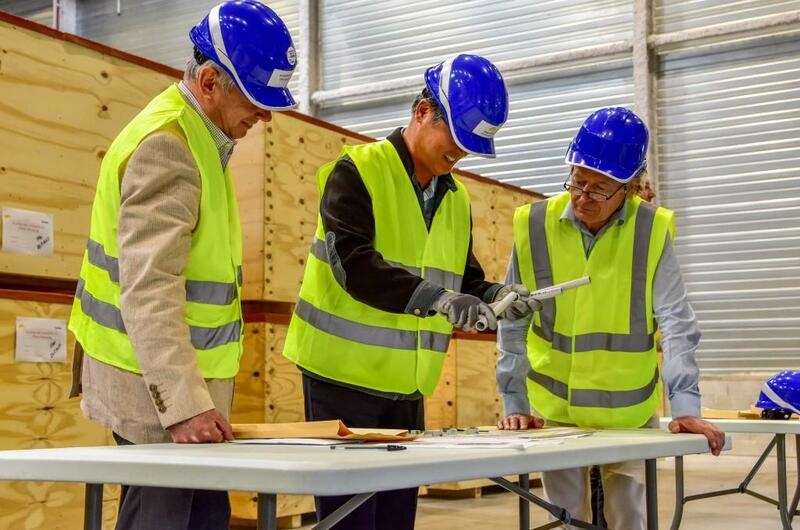 Teams each have a drawing and 20 minutes to complete the work, and penalties are inflicted for leftover items, return trips to the warehouse and, of course, incorrect or incomplete construction. 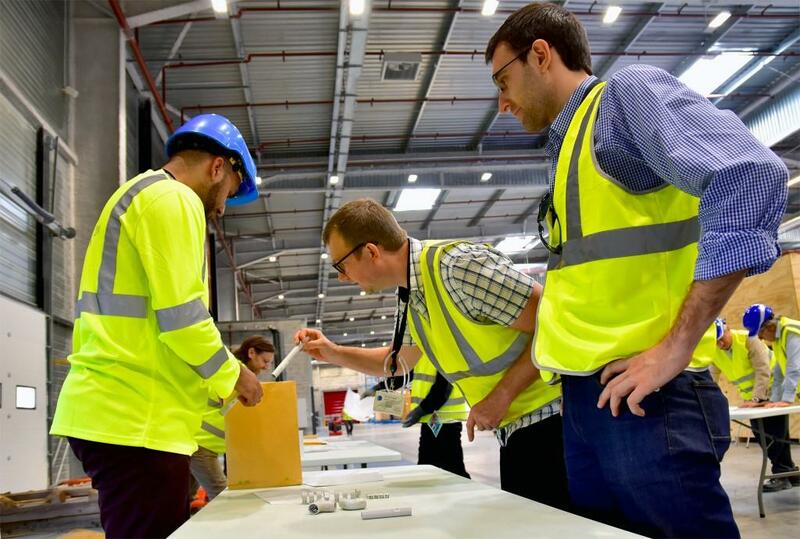 At a recent workshop organized for ITER's Tokamak Engineering Department, four teams competed to build a pipe assembly with items from a makeshift warehouse. But the competition was rigged in order to demonstrate the importance of proper component identification. Unbeknownst to the participants, the competition is rigged—except for Group 1, all groups have to deal with information that is either missing, incomplete or not consistent. Of course Group 1 wins, completing the work in less than 12 minutes. Group 2 (with one part unlabelled) and Group 3 (with identifier discrepancies) both need an extra six minutes to figure things out. Group 4 is still puzzling over its scattered pipe sections, elbows, supports and connexions when the referee calls the end of the game. "Just think of the consequences when you have to deal with millions of parts," smiles Aaron Shaw, ITER Materials Management Officer and workshop organizer. Every day the main ITER warehouse receives dozens of components, large and small, for the machine and plant systems. Based on a numbering system established in 2007, every single item delivered—from individual screws to complete electrical transformers—is supposed to carry an identifier that originates in the drawing and is replicated on the bill of material, the goods themselves, the packing list and the installation manual. "What we are building is unique," explains Aaron, "but the process of managing components and issuing them to construction is the same as in any industry." 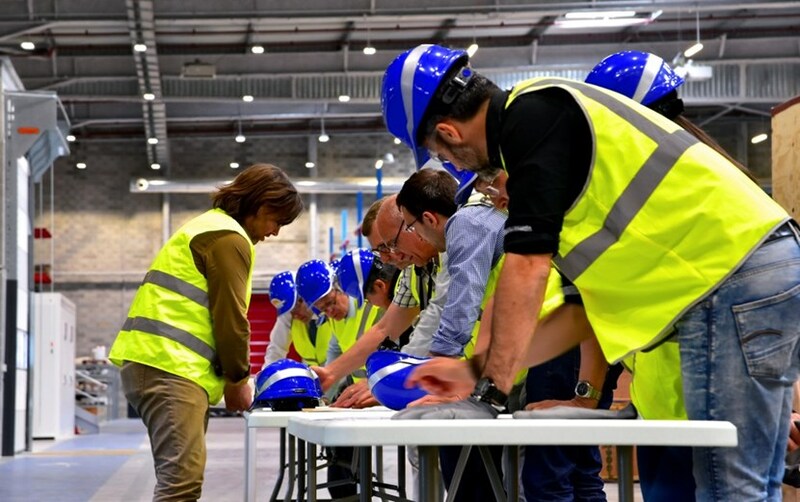 But the complexity, the sheer amount of components to assemble, and the multiplicity of providers on three continents all make for a particularly daunting task at ITER. "On very large projects, one can at best achieve 95 percent accuracy in identifying and tracking all the components," explained participant James McGee, who works for ITER's Construction Management-as-Agent contractor MOMENTUM. 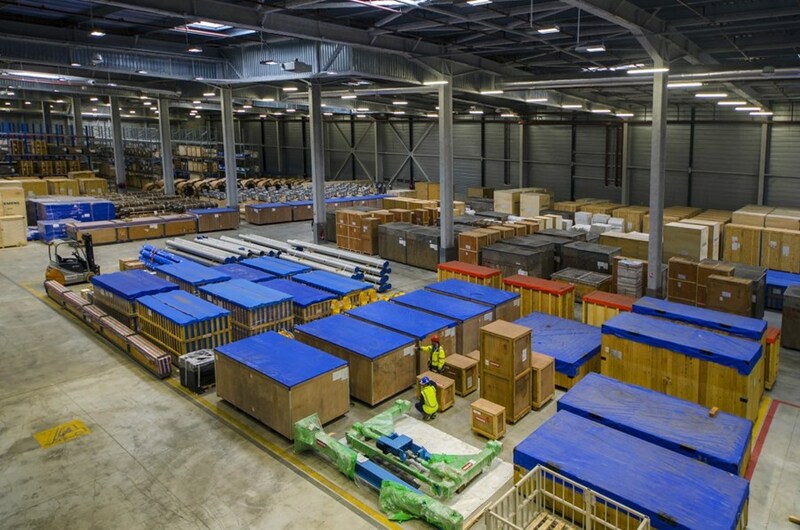 Z2—the largest on-site storage facility—provides a total of 15,000 m² of storage (9,000 m² internal, 6,000 m² external). ITER's configuration management team is focused on improving traceability and data flow—which explains why Aaron Shaw is running workshops for a number of ITER divisions and why he will be extending this approach to all seven Domestic Agencies involved in the project. The competition he organized recently for the Tokamak Engineering Department perfectly mirrors some of the situations that are actually encountered. "There can be no material flow without proper data flow," says Aaron. "Missing or inconsistent data on a component triggers a sequence of events that ultimately harms the project. Eventually, we end up with lost time, extra work hours, and an obvious impact on schedule and budget. It's a butterfly effect ..."
One of the slides presented during the workshop showed that a manual sequence, triggered by an item with no part number, was over twice as time-consuming (2.5x) than the available "system-to-system" process that is designed to accompany an item all the way from design to construction—the "cradle-to-grave" approach for the complete supply chain. 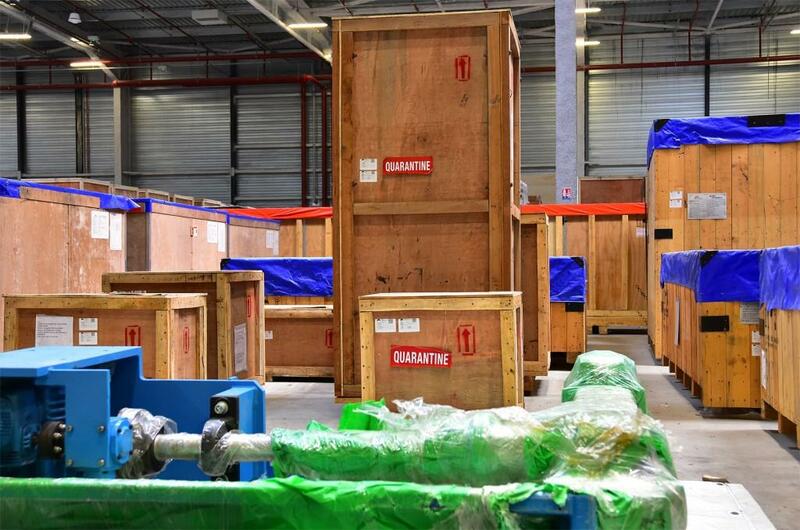 In ITER's largest on-site warehouse, items with incorrect or missing identification are placed in a "quarantined" storage space. "If an item is delivered to ITER without a part number, it simply cannot be 'received' into our integrated data flow," says Aaron. System owners or technical responsible officers may know what the item is and where it is supposed to fit but in order to access it they need to go through the warehouse staff, who does not necessarily have the technical knowledge. The situation, however, can be fixed. "The butterfly effect works both ways," says Aaron. "We are looking at possible improvements for data flow; organizing pilot operations with Domestic Agencies, refining the ITER numbering system with additional data for interfaces, etc." And of course there are the competitions—although they are unfair to some of the contenders, they astutely illustrate the necessity of attaching clear and consistent information to each and every item involved in ITER construction. Discrepancies between the identifier on the drawing and the identifier on the actual part caused Group 3 to spend six extra minutes assembling the pipe sections, elbows, supports and connexions. From left to right: Alexander Alekseev, Tokamak Engineering Department head; Chang Ho Choi, Vessel Division head; and Jean-Yves Journeaux, Magnet Instrumentation & In-Vessel Coil Section leader. Penalties for returns to the "warehouse"
Components are retrieved from an envelope that represents the storage facility. Any return trip to the envelope carries a penalty. From left to right: Ali Ismail of the CMA Material Management Team; Paul Edwards, mechanical engineer; and Jose Manuel Arroyo, systems integration engineer. 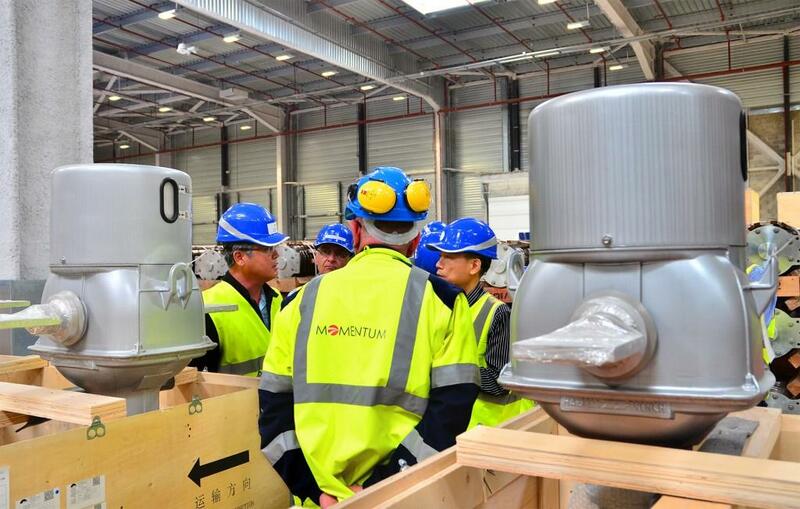 The workshop included an educational tour through the alleys of ITER's largest storage warehouse, guided by MOMENTUM's James McGee (back). From left to right: Chang Ho Choi, Vessel Division head; Bertrand Beaumont, Ion Cyclotron Lower Hybrid Section leader; Songtao Wu, deputy head of the Tokamak Engineering Department. On very large projects, logistics experts feel they can achieve, at best, 95 percent accuracy in identifying and tracking all the components. In ITER's largest storage area, items that have zero or incorrect identification are placed in "quarantine."